I took a slice of a degree 6, and found this .. 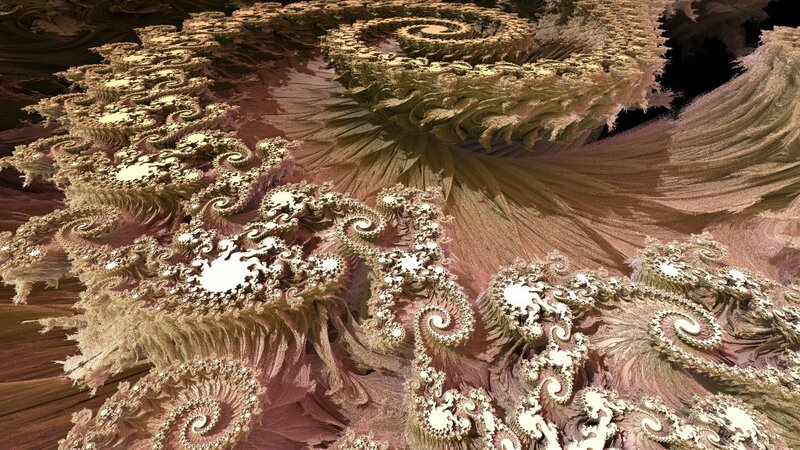 Seems like all the familiar fractal shapes are to be found on the inside. Bib, what power is this and what cut did you take? If you bear in mind that the "Camera distance" is simply the distance of the image plane from the target and will not change the perspective when modified (only changing the camera location) and the "Image Plane distance" is the distance of the image plane from the viewpoint and will change the perspective when modified then you should be OK ! Note that one thing you can try for easier positioning is set the "Camera distance" to a very small value (e.g. 0.000001) and then the "target" is effectively the location of the image plane, in other words the target location becomes the camera position. Don't use zero for the "Camera distance" though because that'll screw up the camera rotation. If you want things to look like small objects then use a large image plane distance, but if you want to make things look huge then reduce the image plane distance (e.g. to 0.1 or even less), reduce the distance of the camera from the desired view area and increase the magnificatiion. 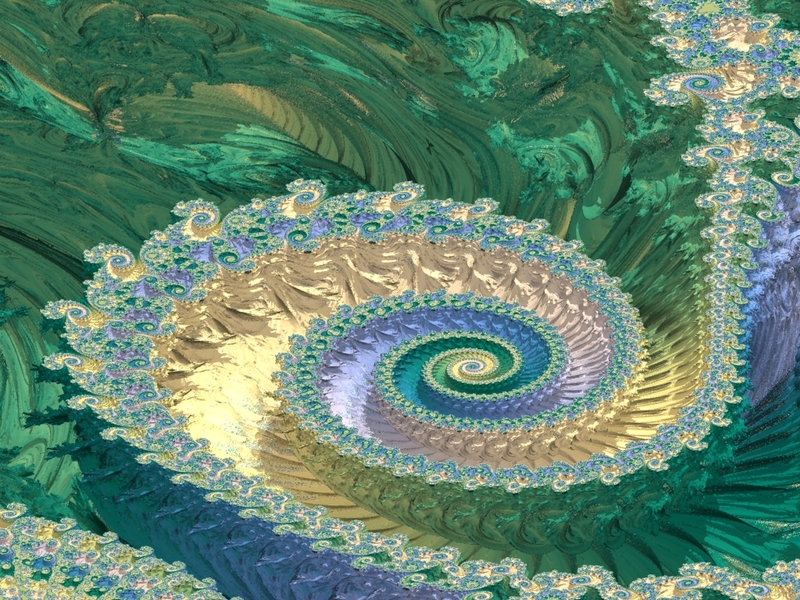 BTW I am working on an updated formula (probably to be released as a separate formula rather than an update) that will render everything based on the Mandelbulb method considerably faster. 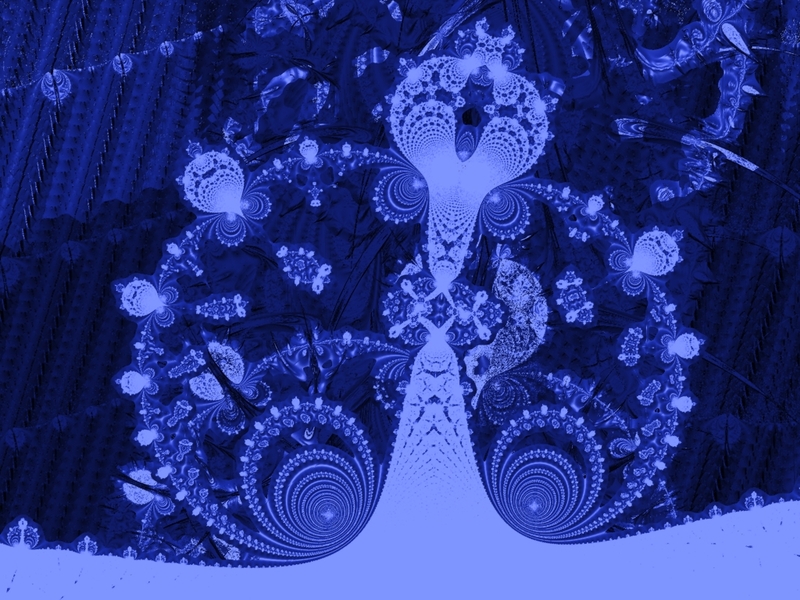 Are these mandelbrot-like slices taken through a random plane? 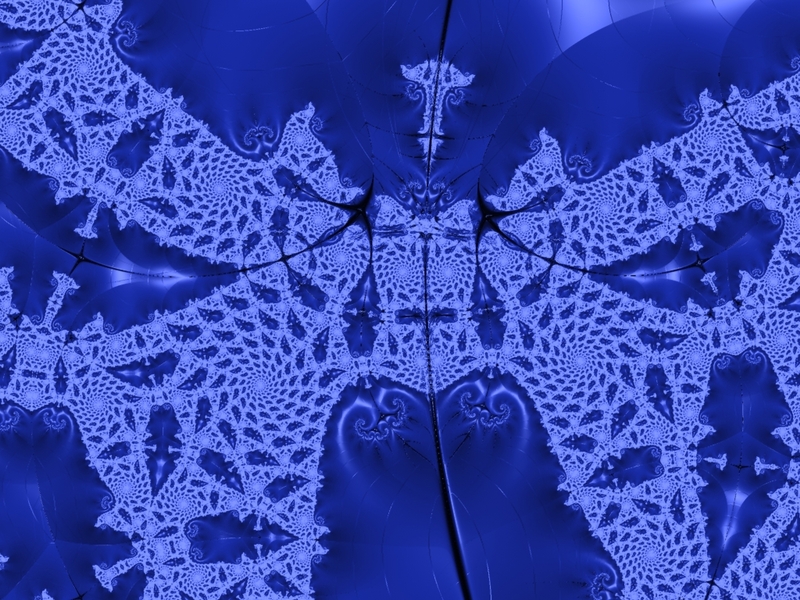 because if they're taken through i=0 or r=0 then it is clear that they will have mandelbrot-like detail because the equations are just mandelbrot-like equations. If they are really from a random plane then that is more significant, more surprising and more interesting. @David, I'm trying hard but it's still unclear to me. For example if I take the first image I posted above and try to apply more perspective, the location is completely screwed up. Starting from the general view I posted just above, what operating mode would you suggest to do a similar image as Buddhi's one (the 2nd one) ? Ah, I think I understand your problem - I assume you positioned things using UF's standard zooming ? If doing that you change UF's centre from (0,0) then it causes problems setting positions up using the formula parameters. Ideally you should get the image set up as best you can with UF's location fixed and only change the magnification value and the formula parameters to set the position and distance etc. If you change the UF location so it's not centred then any changes you make to the formula parameters will always completely change the view. So if you want to start from the image you posted then the first thing to do is reset UF's in-built center to (0,0) then use the formula target/distance/rotation to get a similar view to what you started with. As I said above a trick you can use here is set the "Camera distance" to a very small value, that way the target location is effectively the camera location. Obviously you can set a camera location then use "explore" on the camera rotation to point it in the correct direction. 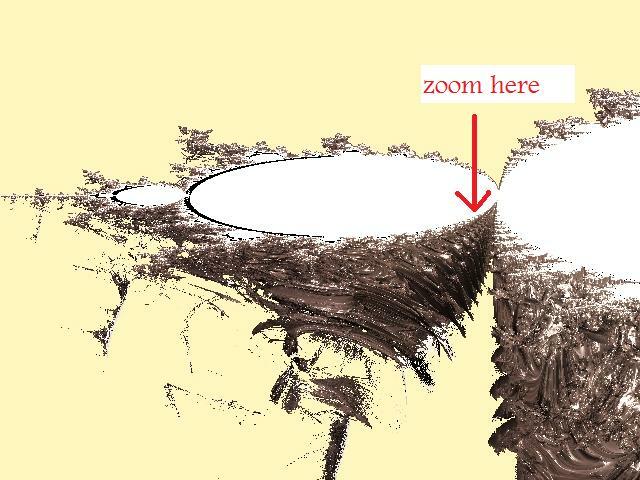 Note that a trick to find the x,y,z value for a given location is make sure UF centre is zero with magnification 1 and the camera target is (0,0,0) with a normal camera distance, say 4 or more, then set the formula to "parallel" instead of "perspective" and view at (0,0) camera rotation and UF's x,y coords are the 3D x,y coords, then rotate the camera 90 degrees (direction not elevation) and you then have UF's 2D coords as the 3D z,y coords (or -z,y). It's best to completely use the formula parameters for setting up positions, just changing the UF magnification until you're very close to what you want and then finally use UF's zoombox to relocate/frame exactly as you want things at the end. Obviously you can set a camera location then use "explore" on the camera rotation to point it in the correct direction. You're right and I suspected exactly what you explained about UF's location that should be set to 0. But there is a kind of bug in the "explore" window when playing with camera position/rotation: it does not take into account all parameters (I don't know which ones exactly) so the preview image is not the result you get. It makes the process trial and error oriented and quite tedious. You guys never cease to amaze me. Especially considering that your renders probably take minutes to hours and take even longer to prepare. You must remember that in normal UF formulas you can work on an image without having to wait for each change to finish rendering, you get to see lower resolution previews when using "multi-pass" mode. That's strange, I've never noticed such a problem...will investigate. Can't find a problem, but, you do know that the preview only shows the selected layer and not all layers ? Yes I know. I will try to make some screenshots and post an upr for the example.